ABC-SETX would like to thank Louis Fontenot with Coastal Welding Supply, Inc. for donating the welding supplies and tools that were given to the winners. Lone Star Silversmith for the amazing personalized Yeti cups that were given to all students that placed. We would also like to thank all professionals that were on hand to answer questions that the students had about the industrial industry and extending their education with Associated Builders and Contractors Training Facility. A big thanks to the George Pyle and the Woodville High School FFA for cooking the wonderful Bar-B-Q lunch with all the fixings. Again, thank you Sponsors and Instructors for making this such a successful event. We plan to continue hosting this annual contest. We would like to thank Louis Fontenot with Coastal Welding Supply, Inc. for donating the welding supplies and tools that were given to the winners. Lone Star Silversmith for the amazing belt buckles that all 10 students received for placing. We would also like to thank Steven Pellerin with Trinity Industrial for being our guest speaker at this event. All professionals were on hand to answer questions that the students had about the industrial industry and extending their education with Associated Builders and Contractors Training Facility. A big thanks to the George Pyle and the Woodville High School FFA for cooking the wonderful Bar-B-Q lunch with all the fixings. Lance Mobley with Trinity Industrial was our competition judge; he had a hard job and we greatly thank him for his time and expertise! We would like to thank Cindy Lindsay with Coastal Welding Supply, Inc. for coordinating Channel 12 News to cover the event, and interview the students and instructors. We would also like to thank Matt Bollenbacher with Blue Arc Welding for judging the competition, and Wesley Dobek, with Stanley Black & Decker/DeWalt for coming out to display some tools and equipment. We also want to thank J. Jones with The Harris Products Group and Greg Srader with ESAB Welding & Cutting Products for being on-hand, and allowing students to participate in cutting competitions. The Harris Products Group timed students i) cutting out a 1-inch hole in a piece of plate; and ii) then cutting at a 3-inch angle on the line drawn using propylene oxygen. ESAB timed students while cutting a 4-inch H beam that was marked using oxy-acetylene. The Winners of the ESAB and Harris contests were: Garret Shelton of Magnolia West High School and Chase Spradley of Newton High School. Also, a big thank you to Bill England with Miller Electric Mfg. Co. for being our guest speaker during lunch. He spoke about the various fields they can follow in the Welding profession. Additionally, Myron Laurent and Barbara Jones with Fluor both spoke to the students on what is required of them to work in the petro-chemical Industry. We also appreciated some other contractors who came and out interacted with the students: Smokey Miller with Mason Construction; Demp Suchanek with Performance Contractors; Chris Padilla and Hector Ochoa with Maintenance Enterprises; and Leroy Fagg with Larco Industries, Inc.
Again, thank you Sponsors and Instructors for making this such a successful event. We hope to continue hosting this annual contest! On Wednesday, May 6th, approximately 100 students from area high schools attended our “2nd Annual High School Work Readiness Fair” at ABC. This was the brainchild of one of our board members, Louis Fontenot of Coastal Welding Supply. 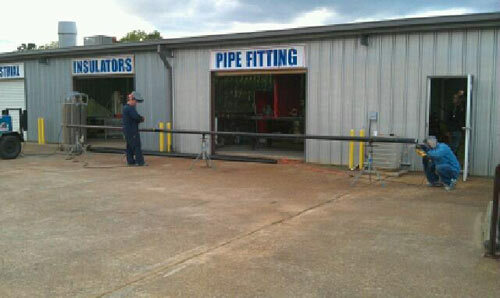 He, along with several high school Ag-Mechanics Instructors had the idea of connecting graduating seniors with some of our local contractor and supplier members. The students were given pertinent information on how to make application with a company, interviewing tips, as well as insight into the various H.R. requirements of the petro-chemical industry. Several of our members had booths and met with the students individually throughout the morning, as well as spoke to all the attendees during lunch. We also had Megan Davenport with ISTC speak about the various services they offer (i.e., testing, safety badging, background and drug screens). We would also like to thank William Zima, with Lincoln Electric, for coming in to show the instructors and students how to work our new welding simulators. Everyone was very excited to try them out! 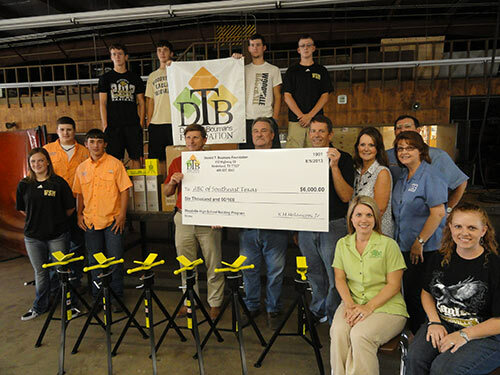 On Thursday, August 15th, 2013, Associated Builders and Contractors of Southeast Texas (ABC), through the generosity of the Donald T. Boumans Foundation, presented Woodville High School with a $6000.00 donation for their Welding program. There were many items and consumables the welding instructor, George Pyle, needed to start his new school year teaching at Woodville High School, and ABC was able to purchase those requested items from Coastal Welding Supply through that scholarship. ABC was one of the first entities awarded money from this foundation, which in turn allowed Woodville High School to receive purchases made through its School-to-Work program. The Donald T. Boumans Foundation is a charitable foundation established in memory of Don Boumans, Executive Director of the Golden Triangle Business Roundtable, who passed away on July 10th, 2011. His legacy lives on by helping support young people in careers in the petro-chemical industry in Southeast Texas through educational scholarships and other charitable funding. For more information about this foundation, or to make a contribution, visit: dtbfoundation.org. Left to Right: Mike Roebuck-Echo Maintenance, Foundation Chair; George Pyle-Woodville High School, Welding Instructor; Glenn Conner-Woodville Independent School District, Superintendent; Kimberly Bernard-ABC, Director of Education; Patty Collins-ISTC, VP-Operations; and Louis Fontenot-Coastal Welding. Seated: Courtney Johnson-ABC, School-to-Work Coordinator; and Reagan Ivey, Woodville High School, Ag Instructor. 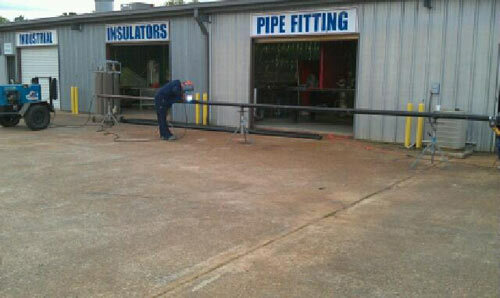 ABC’s Pipefitting and Welding students construct new Football Goal Posts for High Island High School. The school’s goal posts were damaged from Hurricane Ike. In Southeast Texas’ the petro-chemical industry is experiencing unprecedented growth, many are calling it the “Second Spindletop”, and with this growth, comes opportunities for our young people to get great paying jobs! Therefore, through the dedication, financial support, and direction of the Associated Builders & Contractors Construction Training Center’s (“ABC-CTC”) Board of Trustees, as well as the many petro-chemical facilities located throughout Southeast Texas, monies have been budgeted to help fund and assist the approximately 30 high school Vo-Tech programs in the Region V Educational System. “Build it, they will Come. Train them, they will Stay”. ABC-CTC’s goal is to have high school graduates leave school with approx. 1-2 years NCCER craft training and certification. These various School-to-Work programs have been well received, especially since it’s at no cost to the school districts and offers students additional credentials and skills. By implementing new industrial craft training programs in the high schools (i.e., Pipefitting, Welding, Carpentry, Scaffold Builder, Electrical, Millwright and Core), ABC-CTC is not only helping give the graduates an edge on their employability, but is also insuring that Southeast Texas will have a trained workforce to maintain these petro-chemical facilities for years to come. Young people will be able to enter the workforce above the normal entry level position, and continue their education at night, at the ABC-CTC located at 2700 North Twin City Highway in Nederland, Texas. To accomplish this goal, ABC-CTC’s commitment is to provide each school with the needed educational materials (i.e., NCCER textbooks, shop tools, hand tools, materials and consumables). ABC-CTC has also hired a School-to-Work Coordinator to monitor and oversee each of the schools on a routine basis throughout the school year. The Coordinator will not only consult and assist the teachers with the program, but he’ll also be a liaison between ABC, the contractors and industry. Additionally, as in years past, ABC-CTC will continue to, i) participate in career fairs and seminars; ii) host welding competitions for the Vo-Tech programs; and iii) offer scholarships to qualified high school graduates to attend ABC-CTC. For more information contact Courtney Johnson, STW Coordinator at (409) 724-7886 ext. 105 or cjohnson@abcsetx.org.